THURSDAY, Jan. 4, 2018 (HealthDay News) -- Decisions about diabetes care can become harder as people age, and that may be especially true for those needing hospice care. A new study has found that, among people getting hospice care in a nursing home, diabetes care may lead to higher rates of dangerous low blood sugar episodes, known as hypoglycemia. That finding came from the researchers' analysis of data on nearly 20,000 people with type 2 diabetes, all in nursing homes and receiving hospice care. In 180 days, the time period covered by the study, about one in nine people experienced low blood sugar episodes. But, among those treated with insulin, about one in three had low blood sugar episodes, according to the study's lead author, Dr. Laura Petrillo, an instructor in medicine at Harvard Medical School. Low blood sugar can cause weakness, sweating, confusion, shakiness and dizziness, which can cause suffering and reduced quality of life. The researchers defined low blood sugar episodes as blood sugar levels under 70 milligrams per deciliter (mg/dL). "Hospice is care focused on maximizing comfort at the end-of-life, and usually includes stopping treatments that are unlikely to have short-term benefits," Petrillo said. "Patients with type 2 diabetes were experiencing hypoglycemia, which would be an indication that there was room for improvement in their diabetes care." The study also looked at high blood sugar episodes, defined as blood sugar levels over 400 mg/dL. High blood sugar -- hyperglycemia -- can cause excessive thirst and a need to urinate more frequently. During the 180 days, 38 percent of patients treated with insulin had low blood sugar, 18 percent had severe low blood sugar and 35 percent had high blood sugar. Blood sugar levels were checked an average of 1.7 times a day for people on insulin and 0.6 times a day for those who weren't given insulin, according to the report. People in the study were receiving end-of-life care at Veterans Affairs nursing homes between 2006 and 2015. All were 65 or older, and nearly all -- 98 percent -- were men. About 83 percent died before 100 days. The study findings bring up an important issue -- the need for more specific guidelines for diabetes management in nursing home and hospice patients, according to Dr. Joel Zonszein, director of the Clinical Diabetes Center at Montefiore Medical Center in New York City. Those institutions often "export guidelines for hospitalized patients, and end up continuing to use a lot of medications that cause hypoglycemia," he said. Zonszein noted that insulin isn't the only medication that can cause low blood sugar levels. Some oral diabetes medications also can cause blood sugar levels to drop too low. In addition to causing people to feel terrible, low blood sugar levels can also increase the likelihood of falls -- a concern in hospice facilities and in nursing homes, he explained. "If medications are not improving quality of life in hospice, it doesn't make sense to use them," Zonszein said. "There are many newer medications that don't cause lows and control the highs. They cost more, but you don't have to monitor patients as much," so ultimately they're likely cost-saving, he suggested. Matt Petersen, managing director of medical information for the American Diabetes Association, said that the study adds to the understanding of end-of-life care for people with diabetes. "Hypoglycemia is to be avoided for safety and quality of life, but severe hyperglycemia is also to be avoided for the same reasons -- left to go too high, glucose levels can lead to catastrophic (and very unpleasant) metabolic crisis," Petersen said. "In patients that may not be eating well, estimating insulin dosing to match food intake can be challenging." Petersen said it appears from the information provided that patients in the study were receiving individualized care based on their health condition, which is what the American Diabetes Association recommends for care. "Care should involve a comprehensive consideration of what will ensure the best circumstances for the patient," he noted. 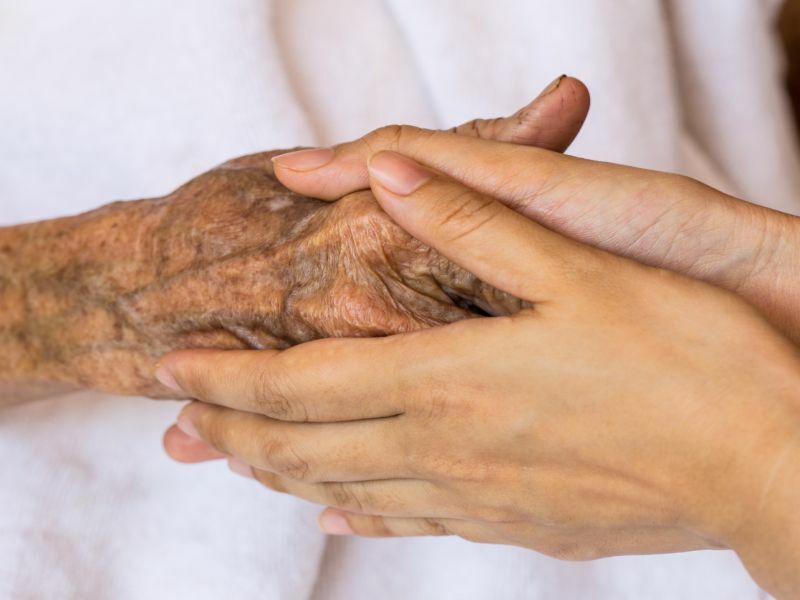 The study authors pointed out that about one-quarter of people in the United States die in a nursing home, making this a problem many people might face. What, then, can people do to ensure they or a loved one receives the right care for them in a nursing home, particularly as they near the end-of-life? "Advocate for your loved ones," Petrillo advised. "Ask for a medication review, and make sure that medications are geared toward providing comfort and that they're not receiving anything that doesn't have a short-term benefit." The study was published as a research letter in the Dec. 26 online edition of JAMA Internal Medicine.